6th Customer Lovefest Conference welcomes loyalty consultant Steven Ladd! 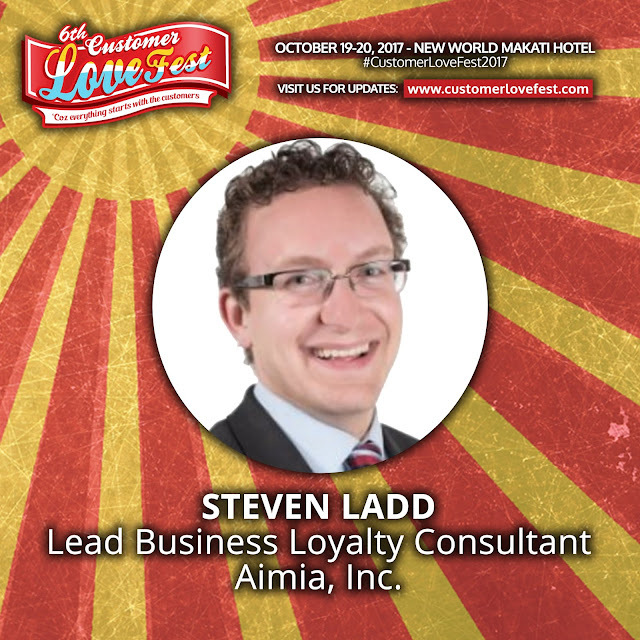 The 6th Customer Lovefest Conference welcomes Aimia, Inc. Lead Business Loyalty Consultant Steven Ladd straight from Singapore! Steven works as a consulting project manager across multiple sectors through consulting engagements from Hospitality & Travel, Pharma, Energy, to Retail to unlock their customer engagement potential. We're now in the time where customers are relying on their smartphones for almost everything, and Steven will be sharing how companies can take advantage of today's mobile-first economy at the Customer Loyalty track of the conference on Day 1 (Thursday, October 19). 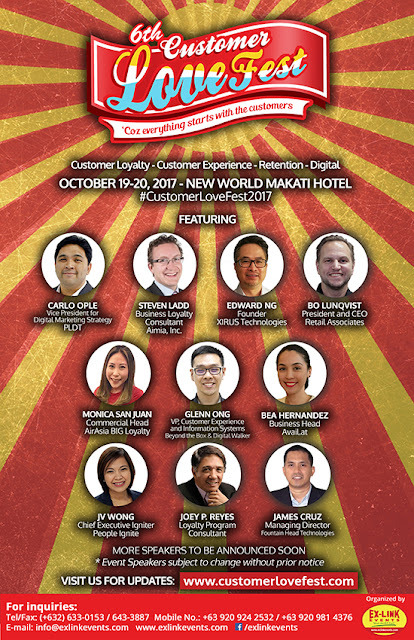 See Steven and other distinguished speakers, and learn more on Customer Experience, Customer Loyalty and Customer Relationship - join the Customer Lovefest 2017 this October 19-20, 2017 at the New World Makati Hotel.